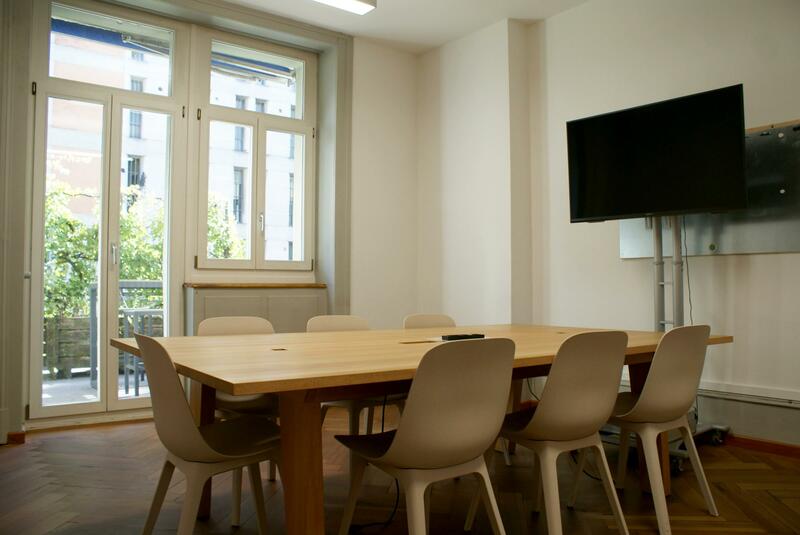 The Board Room suits smaller events with a high standard perfectly. 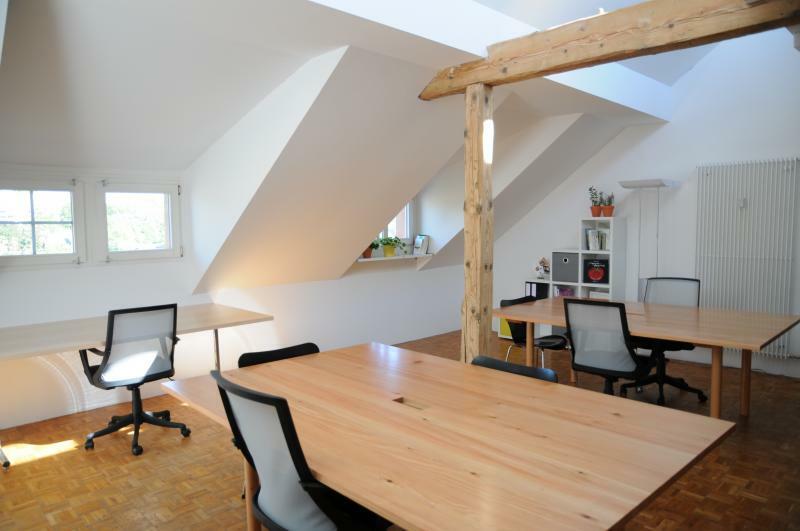 It is a medium-sized room with space for up to 12 people (22 m²). As it is our only room with a separate access to the terrace. That is why the Board Room is our special offer. It also comes with a monitor and a facilitation toolkit. The Forum is the ideal event space for groups of up to 40 people. 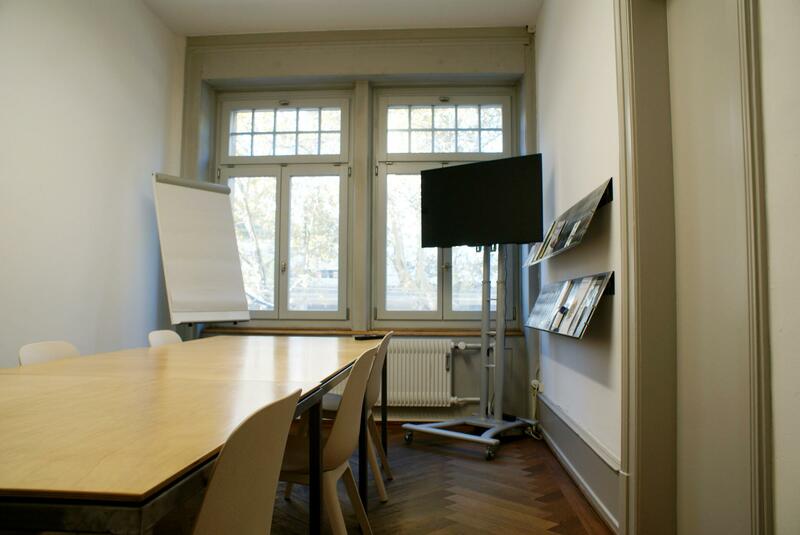 The room is also suitable for workshops, seminars and training sessions for a smaller number of participants. We provide a flip chart, pin board and facilitation toolkit. A projector and speakers can also be made available if required. 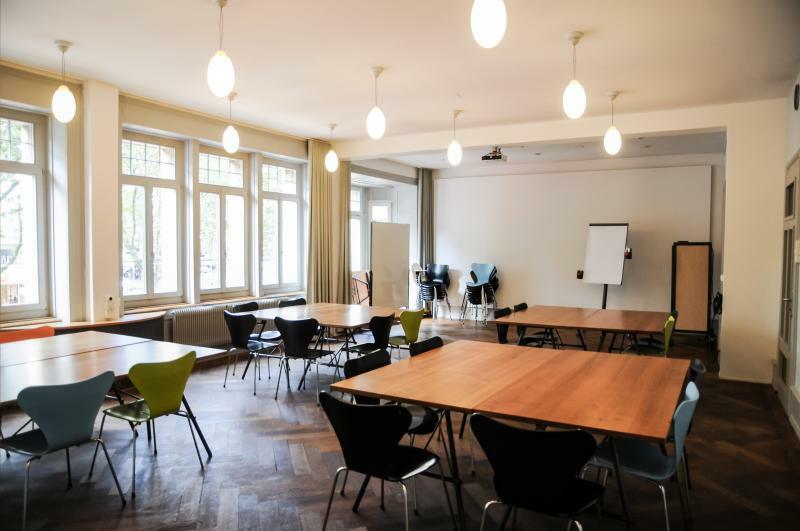 Booking both rooms can provide you with an extra space for group work or for lunch or evening catering. Book Full House if you have a large event and need some separate rooms for group works or preparation space. 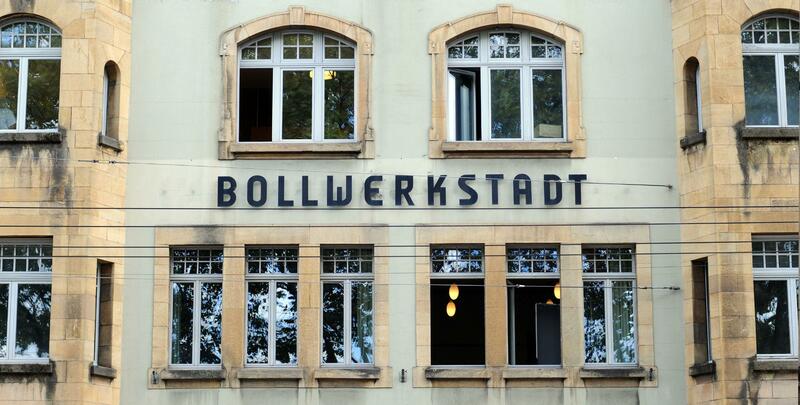 The whole first floor of the ateliers is included: Forum, Workshop room, Compact Space and Board Room. The Compact Space is our smallest room and suits small workshops or group projects up to 10 people. Despite it is the smallest room available, it still comes with great technological infrastructure. Connect your device with the monitor and show your group your visualizations or use the facilitation toolkit. The recently renovated Creation Space is perfect for meetings, workshops, seminars or training events for up to 12 people. A screen, flipchart, 2m long whiteboard and moderation materials are all included in the price of the rental. Tea and coffee making facilities are also available within the room. 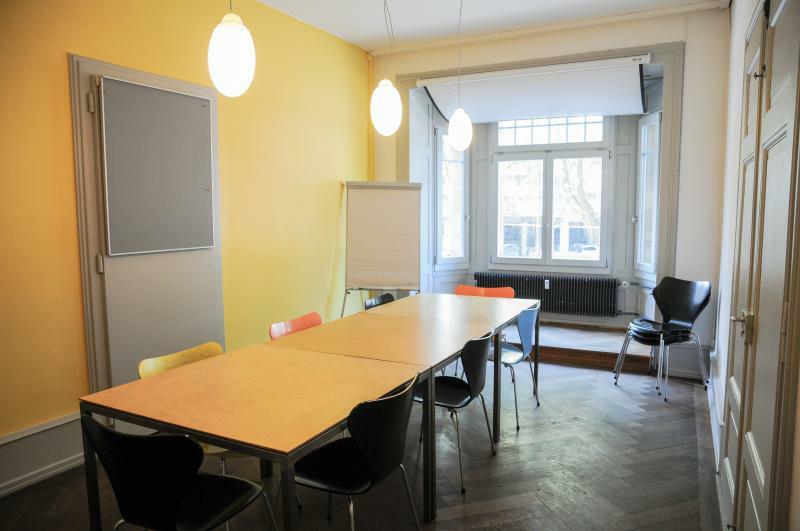 The workshop room is suitable for meetings and workshops for groups up to 10 people. We provide a flip chart, pin board and a facilitation toolkit. 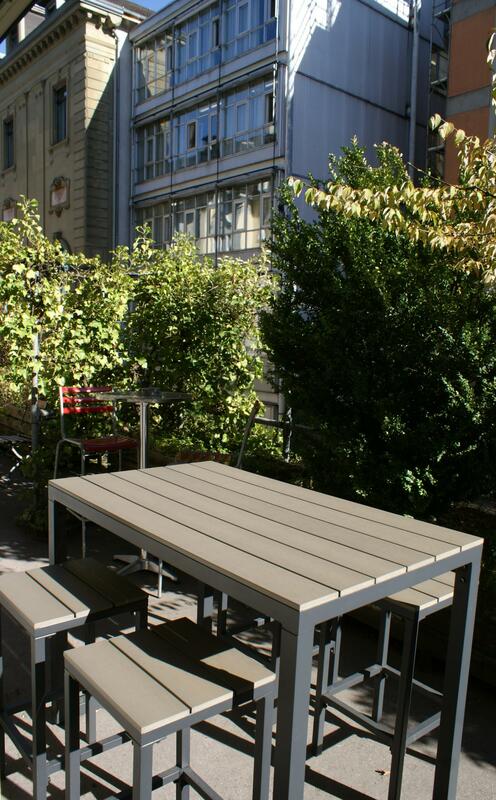 You and your guests can also make use of our self-service cafeteria and large outdoor terrace.